The Devil’s Work by Mark Edwards. Read August 2016. 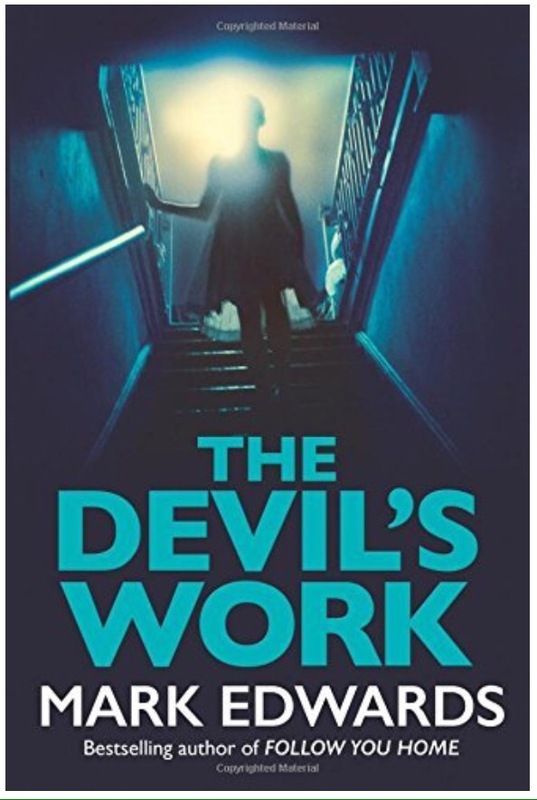 The latest fabulous read from Mark Edwards – the master of making the mundane menacing (my reason for including that description will become clear later). This book is more twisty than a very tall spiral staircase. The characters are believable – the main character and her family make the reader think hey, this could happen to me, and that’s what makes the story so scary. It’s hard to describe the cleverness of the plot without spoilers so I’ll just say there are plenty of opportunities to think you’ve worked out what’s going on, only to be proved wrong over and over again. I thoroughly enjoyed this book. Full disclosure: thanks to a competition win (for coming up with the description of the author I’ve repeated in the opening sentence of this review) I have a character named after me in the book. This added to my enjoyment, as did my first ever mention in the Acknowledgements of a book. However I’m sure I would have enjoyed the read just as much without that.